Shipping $2.00 total so combine your order. Feels like a compression sock! Live life to its fullest in our Knee High Socks! 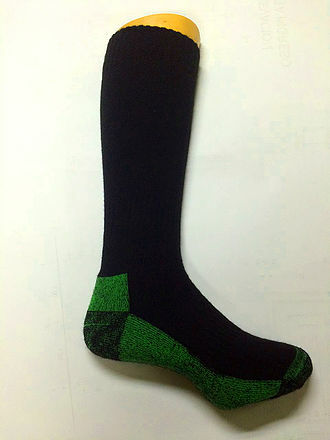 Wear these eye catching, comfortable alpaca socks any day of the week. They come in the multi-color, Gray only XL Black. The bottom foot is a cushioned terry, provides arch support and has heel and toe reinforcement. Machine washable. Great for Athletic activities. Biking, Hiking, Soccer, Football, Running, Climbing, Folk Dancing and Horse riding to just name a few.